Marquee, among others, is the most majestic and robust tent. It is ideal for any event, especially luxurious events. Marquee can be decorated into very beautiful and classy mode. 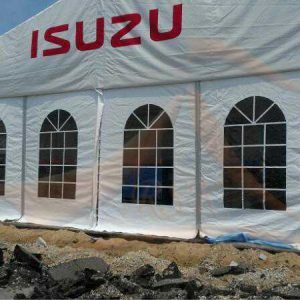 In order to host any type of event without any hassle, you should always find a reliable Marquee Tent supplier in Malaysia. 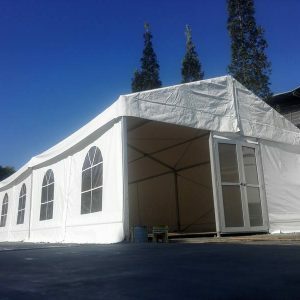 Marquees are usually enclosed with side walls to ensure privacy and acoustic comfort. Normally, each Marquee is coupled with 2 or 3 air-conditioning units. Besides, with many years of experience, we recommend to lay a carpet over the plywood flooring so as to enhance the comfort of walking on hard or uneven surfaces. The smallest scale of our Marquee Tent can accommodate up to 100 people on its own, and with both tables and chairs. 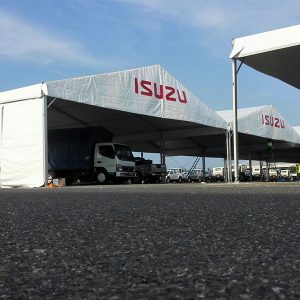 The sizes of Marquee range from 15 meter by 5 meter to 30 meter by 30 meter. With quality materials and lasing design, our Marquee Tent can withstand to any aggressive weather. 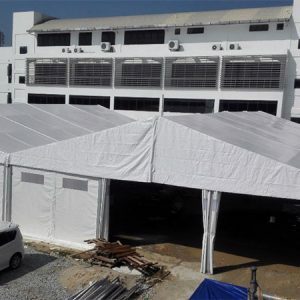 Being a trusted Marquee Tent supplier in Malaysia, you can be rest assured that our tents are built from the highest quality materials and components. Thus, RSK Iron and Canvas (M) Sdn Bhd, Malaysia is always your first choice when it comes to Marquee Tent!